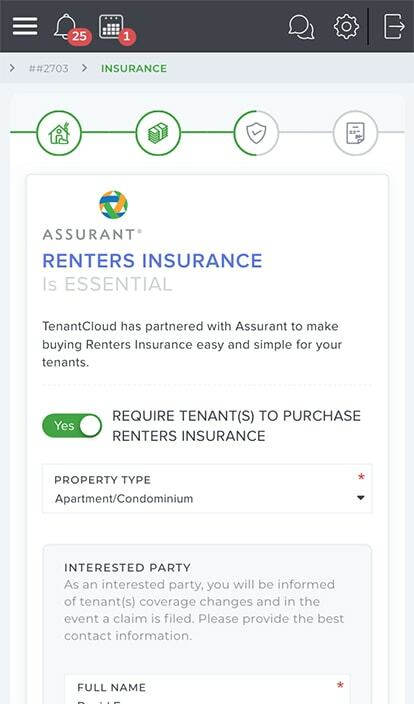 In partnership with Assurant, TenantCloud now offers Renters Insurance to protect your investment and personal belongings of tenants. Most tenants don’t know that in the event of a fire, water damage or even burglary their rental only covers the landlord's interest. Tenants are often left with nothing and nowhere to go. Help tenants stay protected by requiring renters insurance. Flooding is the No. 1 natural disaster in the United States. It can occur after just a few inches of rain, and total flood insurance claims averaged more than $3.5 billion per year. In 2016, there were 1,342,000 fires reported in the United States. One home structure fire was reported every 90 seconds. A burglary takes place about every eighteen seconds in the U.S. It means that we can expect one in every thirty-six homes to be burglarized, resulting in an average loss of $2,230 per break in. Landlords can refer their tenants to Assurant or to make it easy - when setting up a lease just check the box to require insurance. 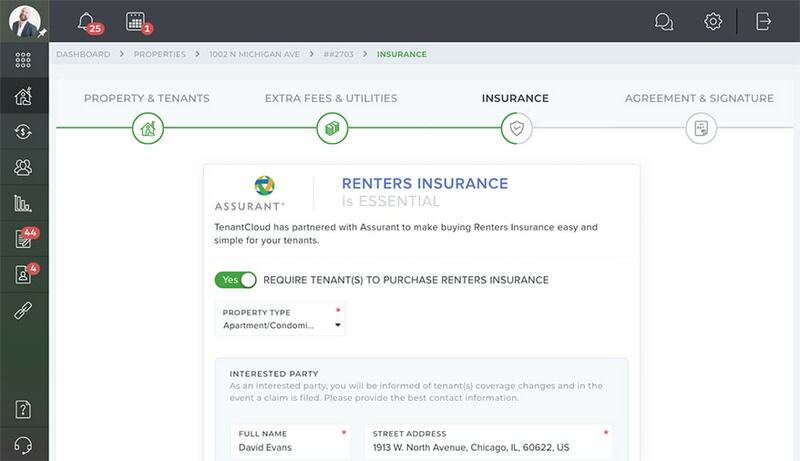 When the tenant is reviewing the lease they can get instantaneous quotes right in their TenantCloud account. Landlords will also receive confirmation of the policy for their records, which is stored in the landlords TenantCloud account. When insurance is not required, tenants may still purchase it through their TenantCloud accounts and it will still have all the same coverage for landlords and tenants. Established in 1947, Assurant is a leading provider of renters insurance programs to the multi-family industry. In partnership we offer a single low cost policy that covers both the landlord and the tenant.